Its been sometime since I last played a boards game, a serious one. Was I wrong. 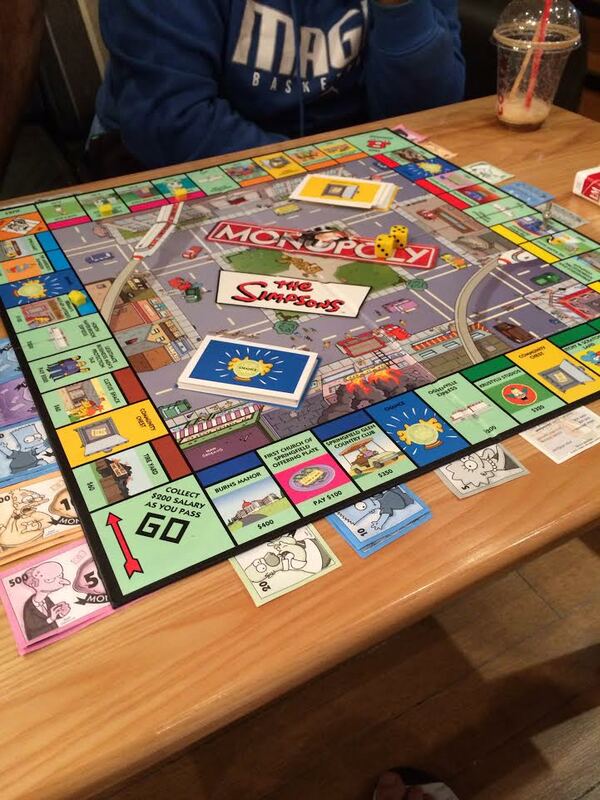 Thanks to the cheap pickup off a yearly market I managed to grab a very cheap yet perfect The Simpsons Monopoly board game. I cant remember the last time I had so much fun off something other then a video game. I recommended Monopoly for any 2+ people who regularly gather to have a long lasting fun. I for one started gathering with my brother and his friend at local coffee shops almost daily (When I don’t have to work morning shifts) from 12 am to 3 and trust me it is worth the hours. I’m thinking of getting the walking dead version to spice things up. Go out and grab your self one.